As soon as I saw it, I knew I needed one! 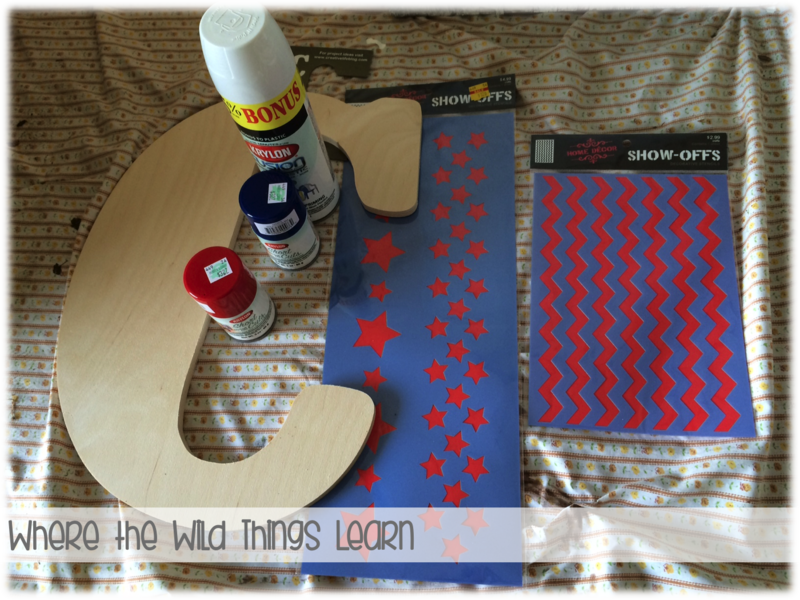 She has a Cameo and made hers out of a combination of paint and vinyl cut outs! I don't have a cameo, so I had to improvise! Where to go when you need to improvise for crafting? Hobby Lobby, of course! 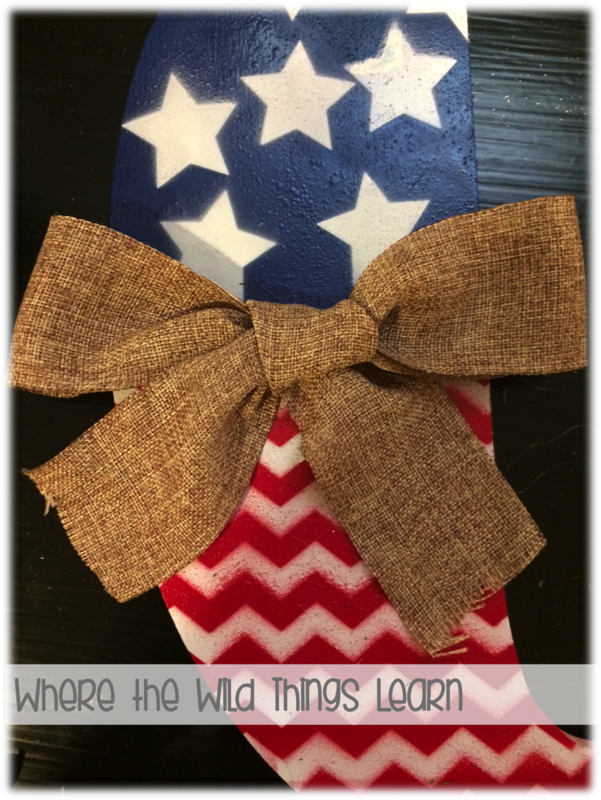 Then, here are the steps in pictures to creating this adorable decoration! 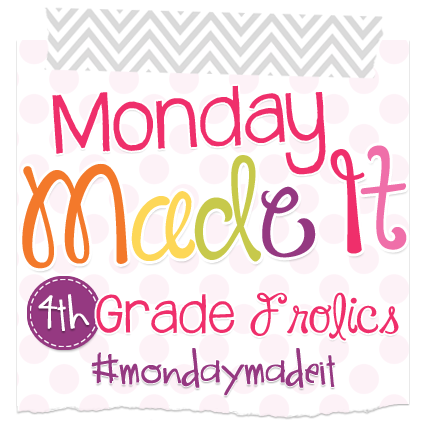 Made it #2 is another fun recipe to share! It's a go-to favorite dinner for hubs and I! PF Changs has always been one of our favorite restaurants. Up until about 2 years ago, there wasn't one close to us. 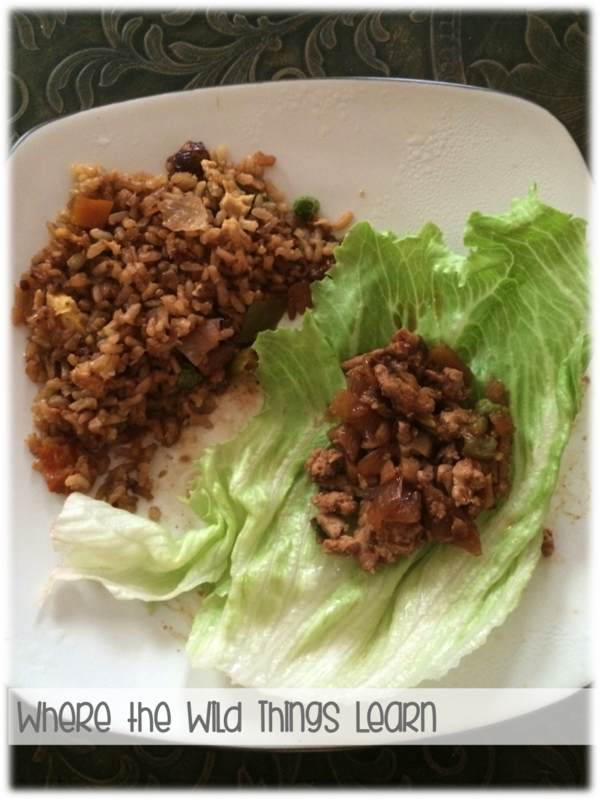 After trying there lettuce wraps, I knew I HAD to learn how to make them at home. 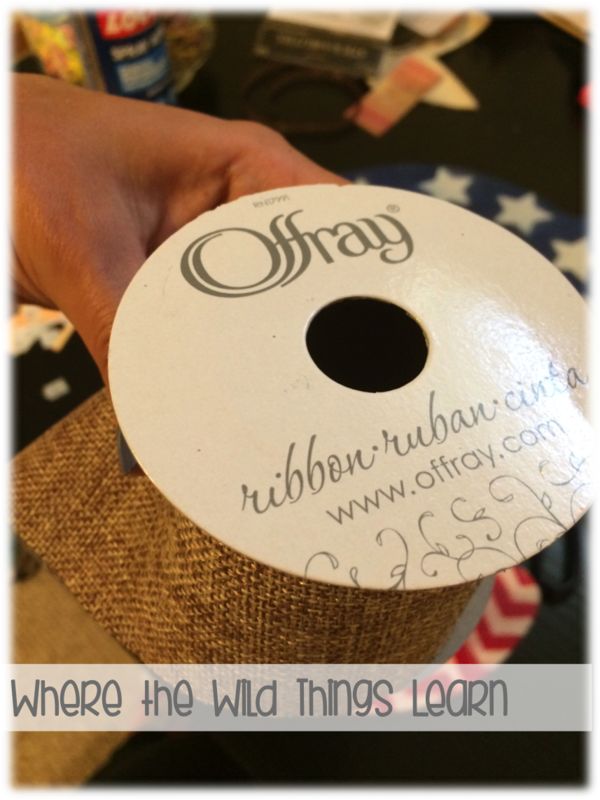 I stumbled across this amazing pin, tried it out, and VOILA! We had Lettuce Wraps for dinner! :) The only things I change about this recipe are I use Asian Chili Sauce instead of Siracha, and I add a little teriyaki (about 1 tbsp) and 1 tbsp more of the Hoisin sauce. I have a "Tried and True" recipes board that you can follow over at my Pinterest to see more awesome recipes that I always use! When I make this, I always make my brown friend rice to go with it! According to my husband, it is one of the top 5 things I make, and he will even request just it by itself for dinner. 1. In one pot on the stove I cook 2 cups of brown rice. When it's done, I take the lid off and let it cool while I work on the other ingredients. 2. In a small bowl, whisk 3 eggs with tsp of salt and pepper. Cook in a wok or large frying pan until scrambled. Remove to a bowl to use later. 3. In the same wok or large frying pan, heat 2 tsp of sesame seed oil. Add in chopped up peppers and onion. (I use about 1/2 of a white onion, and 1/3 of red, green, and orange peppers each.) Stir fry until soft. 4. Add 1 tbsp of minced garlic and 1 tbsp of teriyaki sauce and continue to stir fry for about 2 more minutes. 7. Add the egg back in, stir it all up, and it's ready to serve! 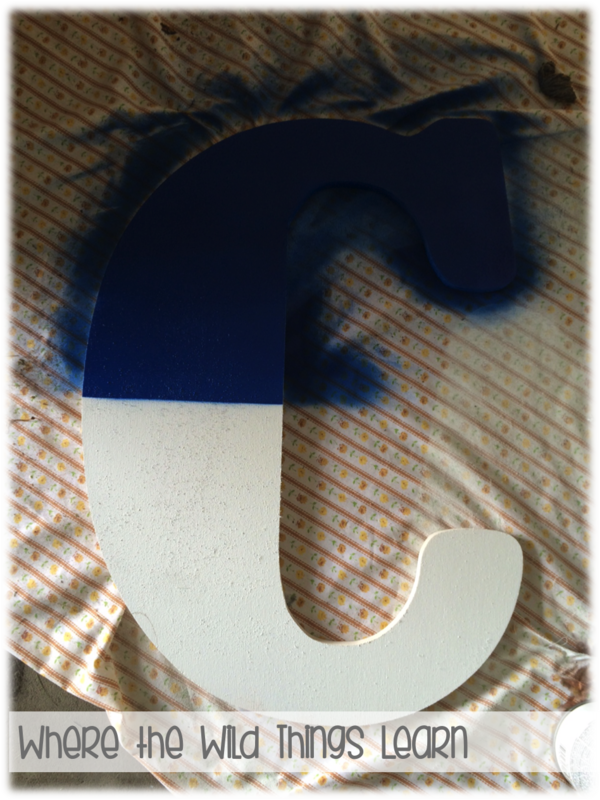 Your "C" came out so so cute! I love that! And your recipe looks super yummy! I will have to try that. Thanks for sharing it. 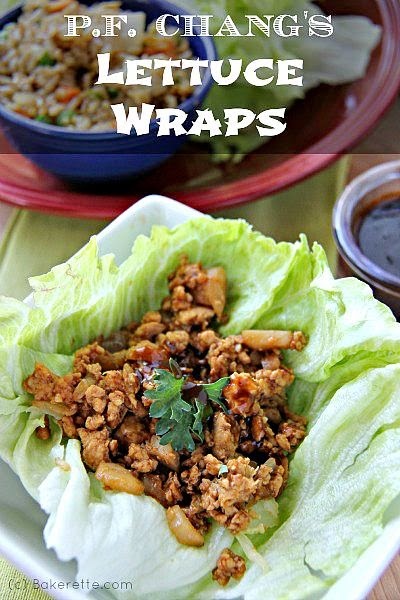 I'm going to have try that lettuce wrap recipe! We don't go to P.F. Changs very often, but when we do we always have the lettuce wraps! Thanks for sharing. Your letter turned out so cute!! Omg My Stars! SO CUTE! Thanks, girl! :) I love it! What time should I be over to your house for dinner? I LOVE P.F. Chang's! Unfortunately, the closest one to me is about 45 minutes away which isn't bad, but from March until September, traffic is AWFUL...so I never go. 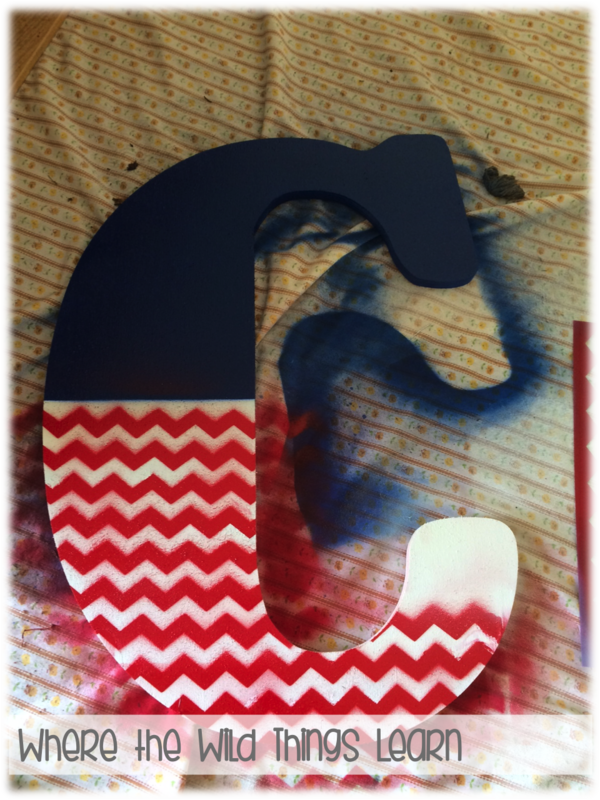 :( Your C turned out super festive! I love PF Chang's lettuce wraps! I'm going to have to give them a try at home now! We had lettuce wraps for dinner last night too!! 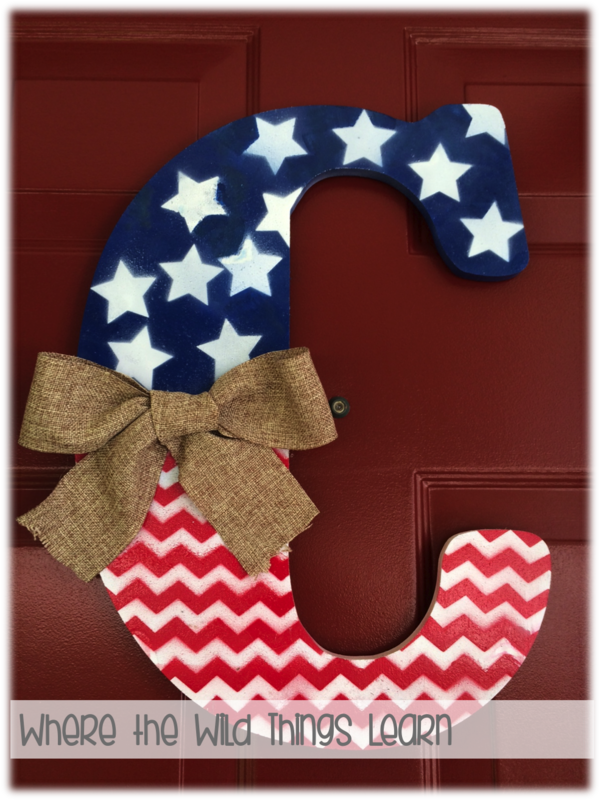 AND I have that pin on my pinterest board and bought a B (for our last name) for our door and totally messed it up. 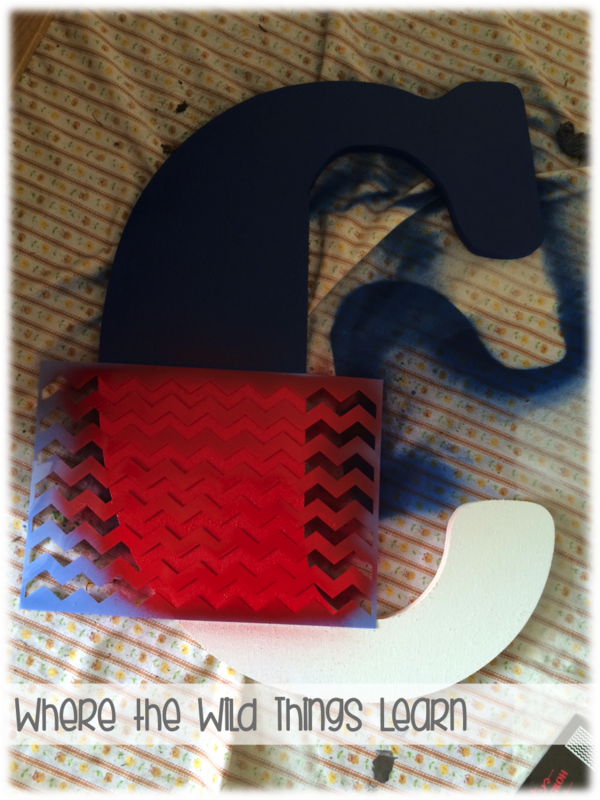 I didn't see any chevron stencils and tried to chevron myself and it was just too asymmetrical. I'll try again with your methods! I've never been to a P.F. Changs... but the wraps look fabulous! I'm going to have to check out that pinterest board of yours! 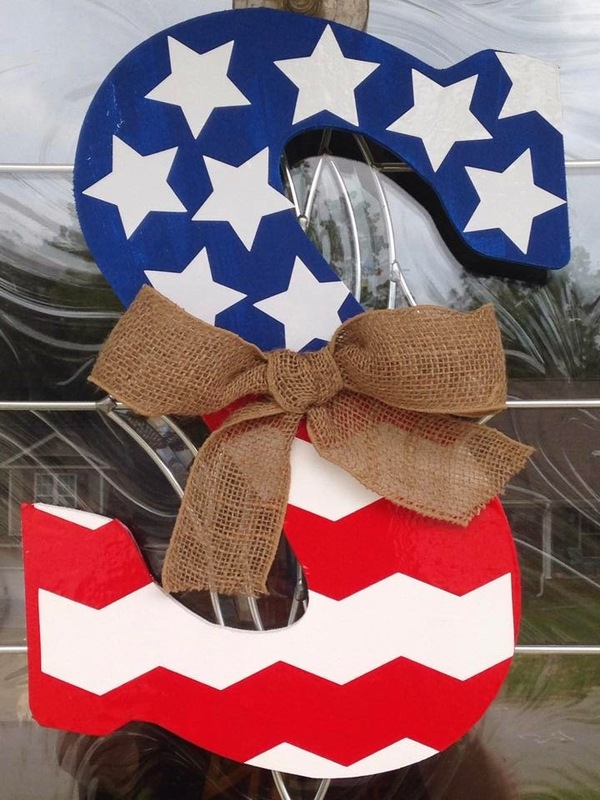 CUTE patriotic "S" :) Love the ribbon you chose. 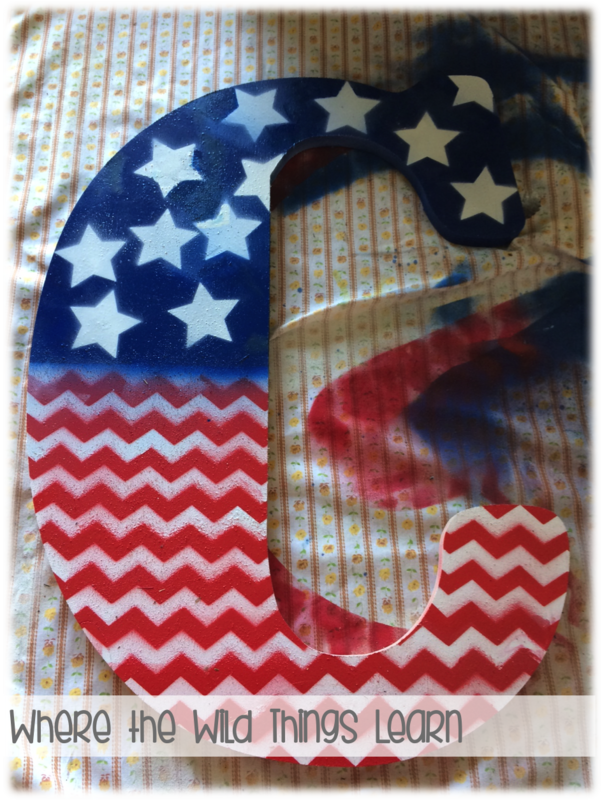 I guess I'm a little late to get this done by the 4th, but it's going on my to-do list for next year!